There are few family outings more memorable than the classic camping trip. Camping is the perfect choice for those who wish to connect with nature, spend time with family, and just have a good time in general. For many people, the ideal camping trip is full of variety. Here are a few activities worth considering. If there is one activity that is universally beloved by the young (and the young at heart), it is laser tag. Laser tag is a great way to have a blast with family and friends while exercising, competing, and blowing off steam. Luckily for you, at Saco River Camping Area we have a staffed laser tag center exclusively for guests on the grounds. Kayaking is another sport that spells fun for everyone. Float lazily down the river on scenic afternoons, or splash your way along racing with others. This is another activity that we are proud to offer at Saco River. Our kayaking course is comprised of about five miles of river, complete with rental canoes and kayaks — visit us online to learn more! A game of bowling is another activity that everyone can enjoy. Compete to see who can score highest, or just relax and eat snacks while kicking back and having fun. Mini golf is a hole in one when it comes to fun! Enjoyable, affordable, and easy to learn, this activity is perfect for families, couples, and groups of all kinds! Who doesn’t love shopping? At the very least, make sure to buy some kind of souvenir or token before you finish your camping trip, to remember the incredible time you had by. From nearby shopping centers to rustic, on-site souvenir locales, there are bound to be many interesting options to choose from. While we all love the classic s’mores and hotdogs over the fire, these staples of the campers diet can grow after a few days. A great camping location is one with great restaurants nearby, to supplement fun camping food with delicious, nutritious, quality dining experiences. All of these attractions and more are available either on the grounds of the Saco River Camping Area or nearby. 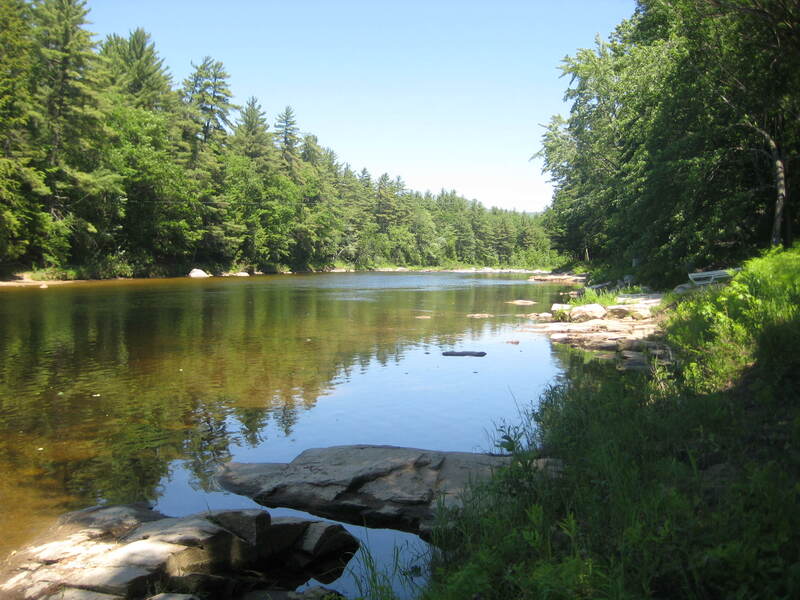 If you need any more reason to consider Saco River as your next vacation destination, visit our website today and see what else we have to offer!